As for me, I anticipate the arrival of Spring, especially given the fact I have just experienced my second Winter storm in two weeks. I have applied my historical research skills to this letter, one side of a story. 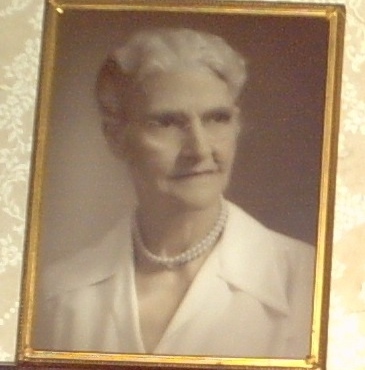 My efforts to locate the poem to which my great-grandmother objected have proven unsuccessful. Along the way, however, I deduced that “Dr. Melton” was almost certainly Professor Wightman Fletcher Melton (1867-1944), Professor of English and Journalism at Emory University (1908-1924) and Poet Laureate of Georgia (1943-1944), whose daughter, Emily, married in October 1920. I found accounts of her wedding, the wedding rehearsals and associated meals, et cetera. I can, however, place the letter in larger historical context, based on my great-grandmother’s opening line. She wrote at the end of the Great Migration, an African-American exodus from the South to the North and Midwest in the face of the boll weevil, World War I, lynchings, non-violent racism, and overt recruiting. The exodus was of a size sufficient to cause labor shortages in domestic work, prompting local governments to try to stem the mass migration. So, without further ado, I present my great-grandmother’s letter without any subjective comment (except that she was of her generation and that more than chronology removed her from Betty Friedan–not that I expected otherwise)–just some explanatory details. In this time when the servant problem is such a vexing one it seems to me unfortunate that anything should be printed or said that fosters even remotely the idea that it is beneath the dignity of anyone to work. Certainly the cast spirit should not be fostered the least bit. Hence I beg you to publish, if you will, this friendly comment on Dr. Melton’s poem. I am afraid there are too many women who may read it, who will will pity themselves the more, rather than see that after all they have too much to be thankful for to repine because they have to preside daily over the kitchen in their own homes. If one woman must not work day by day, then who shall say where the line shall be drawn between those who should and those who should not work? Has God created anyone under such limitations? Does Dr. Melton mean to protest against the dull routine of providing daily for the physical needs of the family? He will have to blame it on the women themselves if they degenerate into mere human machines with no higher motive than to get through the day somehow or other. No woman needs to drudge with her mind. If she must wield the rolling pin and the bread-tray, wash dishes and do the thousand and one things that make up the life a housekeeper and mother, even though she may be uncultivated and so limited in her mental outlook, she can fill her mind and her soul full of the knowledge that these things are but incidental to her real work–being the builder and caring for the living temples of the Holy Ghost. What woman that realizes this great truth will ever wish [that] God had not made her a woman? Does he [Dr. Melton] mean to picture for us the very poor farmer’s wife of the uneducated, uncultivated class? renewing her taste for music and the play. Then I concluded he was protesting against the housekeeping cares of women as a whole; and then my soul rose in rebellion against having home-makers so misrepresented. There are, unfortunately, scores whom this description will fit exactly; but they are women who never had a taste for the higher culture to be removed. Surely these, however much they call for our pity and sympathy, cannot be taken as a type of the housekeeping womanhood of the world. she will be more vividly conscious of them than before; and yet, to her soul, the roses on her children’s cheeks are lovelier than the rarest blossoms of either hot-house or wild-wood, and the rippling music of childish laughter and song is far sweeter than even the glorious strains of Elijah [by Felix Mendelssohn-Bartholdy] or The Creation [by Franz Joseph Haydn]. 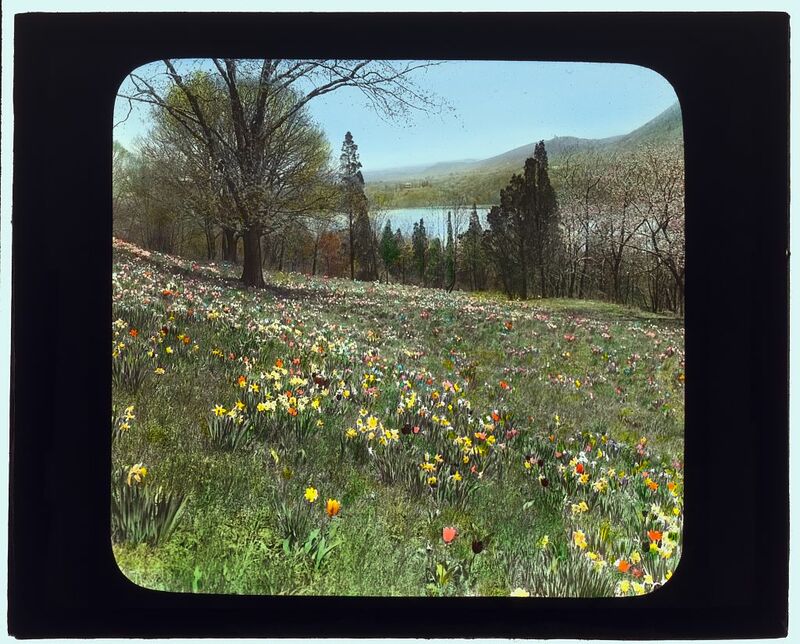 True, she may–usually does–lose some of her girlish grace of form–maternity, even among the plants is at the cost of the early loveliness, but to those who have eyes to see it, the gain in other ways more than compensates for that. neglected, unprotected, doomed to toil. She is honored, saved as many steps and burdens as it is possible for her husband and children to save her, and when he comes home from his work, and the children from school, she finds joy in abundance in the knowledge that it is through her toil and care that they are well and happy; and she, though ever so humble, holds her head proudly as she thinks of her husband and sons, to whom she is the queen of their realm. Women who picture their lot as Dr. Melton draws it, usually are ruined by self-pity, and develop something of the type as he shows; but the woman who sees her lot as it really is–although filled with care and toil, yet the most important under the skies, since to her hands is committed the making of the destiny of immortal souls–will hold her head high, while her soul bows in humble gratitude to her Maker for giving her the place of honor–that of serving both Him and the human race. I have interjected personal names, place names, and dates into my great-grandmother’s undated text occasionally to make clear the chronology and geography. I have written my own reflections, which arrive at a different conclusion: http://blogatheologica.wordpress.com/2014/02/08/living-in-an-aquarium/. Such a life is not for everybody. The Methodists used to move their pastors and pastor’s families in late November or early December, depending on the year. I have used North Georgia Conference Journals, George Washington Barrett’s Descendants of John Barrett and William Winburn (Decatur, GA: Banner Press, 1949), family oral tradition, and my storehouse of church historical knowledge as sources of details. Poor child! She does not know what she is getting into. Thus spoke the widow of a preacher when my sister told her of my approaching marriage [on January 17, 1900, when my great-grandfather, George Washington Barrett, was pastor of the Alpharetta circuit] to a young itinerant Methodist preacher. I informed sister that I preferred a hard time with him to luxuries without him. However, I spent many moments wondering what she meant. I am still wondering, though I have found that her opinion is very largely accepted. After reading a recent magazine article, I decided that it is time one should give the other side of the picture; and so I desire to tell of some of the many lovely things my husband’s people have done for us. First of all, to my way of thinking, is the friendly welcome that has invariably been accorded to us. Not once have I been made to feel as if I were on probation–that they were waiting to decide whether to accept me as one of the community. Always we have been met at the train and taken to the parsonage where a welcome committee was assembled and a delightful meal served in such bountiful quantity that culinary labors were reduced to the minimum while we were getting settled. The parsonage has been prepared for us as well as the brief time between the departure of the our predecessor and our arrival allowed. And when obtainable, flowers added to the festive array of the home. A short time after we reached our second charge [Blue Ridge Methodist Episcopal Church, South, Blue Ridge, Georgia, 1902-1904], my husband was requested to meet some friends at the Y.M.C.A. one evening. A lady friend came up to keep me company while he was there. Soon he returned with a check for a splendid suit of clothes, the compliment of the railroad men of the town. They chose to bestow it rather than to see if the new pastor pleased them or no. It was a timely gift, though they did not know it, for they thought the pastor was a bridegroom. He had been, almost three years before, and was still wearing his wedding suit for best. When our first baby [Randolph Winburn Barrett, 1905-?, born when his parents were at Palmetto, Georgia] came, we had many lovely attentions bestowed. He happened to be the first baby that had ever lived in that parsonage. When it was time to put him in short clothes, before I could get more than started at making them, behold, the ladies of the charge sent in the most complete outfit one could wish. That was paralleled when the sixth baby [Margaret Elizabeth Barrett, later Bartlett, 1918-2007, born when her parents were at Gray, Georgia] was on the way. I was much too sick to sew, though I tried to do so while lying in bed. The ladies sent me word that they were making the layette for me and I was not to sew at all. And it was such a beautiful little wardrobe–sheer, fine materials, hand-embroidered, [with] fine lacy tatting on edges and set in as medallions, and an abundance of garments, even a little pillow with hand-embroidered slips, and a number of extra garments for me. And all this when I had not been worth a thing to the church, for I had been too sick to do any church work, and we had illness in the family too. This same charge [the Gray Circuit, Gray, Georgia, 1917-1919] being dissatisfied with the reception of their pastor, because they had only one hour from the departure of our predecessor and our arrival, sent me word at Christmas that I was not to prepare a Christmas dinner. It was sent on Christmas Day, and what a feast it was! At another place [Gainesville, Georgia, where my great-grandfather served at the St. Paul Methodist Episcopal Church, South, 1922-1925] my husband’s brother [Robert Wesley Barrett (August 18, 1860-January 13, 1924)] had died and was brought there for burial. [The Barrett family was from Gainesville and Oakwood.] The family connection being large, we had considerably above a score with us to lunch. What did those blessed women do but send in lunch for the crowd, and some came and helped serve, and then they washed up and left everything ready for the next meal! It was here [St. Paul Church, Gainesville, Georgia], too, that various improvements to the parsonage furnishings were added along during our years of service because, they said, they wanted us to have the opportunity to enjoy them while there. And it was here, having learned someway the date of our twenty-fifth wedding anniversary, [that] some of the members of our church combined with friends in another church in town and presented us with a handsome chest of flatware. So far as I know there has been no attempt to criticize my own or even my children’s dress, but I’ve often been complimented on the children’s appearance. And whenever I have had either a new hat or dress, the ladies appeared to take as much pleasure in them as I did. At another charge [Tignall-Broad River Circuit, Tignall, Georgia, 1919-1922] one of our stewards [Yes, the Methodists used to have church officers called stewards. ], a widower, lived across the street from the parsonage. Beginning with a ten-pound turkey for our Christmas gift, he filled the three years of our stay with loving, brotherly attentions so delicately offered that one could not feel offended. We were quarantined just at the Christmas holidays because of diptheria in our home and people feared the children might not have their stockings filled; so they proceeded to provide against such an emergency. And how they did provide! Please, you can do it for us because we want to do it for you. I did it and to this day can never think of it without grateful tears. It has been a happy life to me, though, of course, there are some things I should prefer otherwise–but is there any lot in life without some drawbacks? But this is my most sincere and loving tribute to the churches my husband has served. They have treated me as they would wish to be treated if they were in my place. Could anyone ask more? 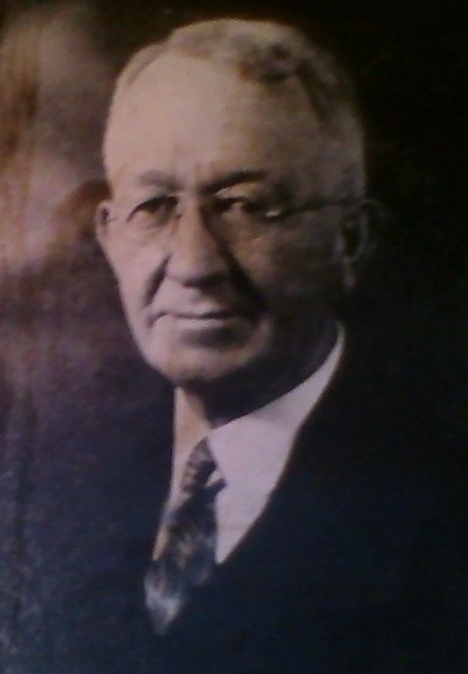 The Reverend George W. Barrett was born September 3, 1873, and left us for his heavenly home June 12, 1956. He was the son of William Wesley and Sarah Jane Winburn Barrett. He was graduated from Young Harris College in 1899. On January 17, 1900, he was happily married to Miss Nellie S. Fox. 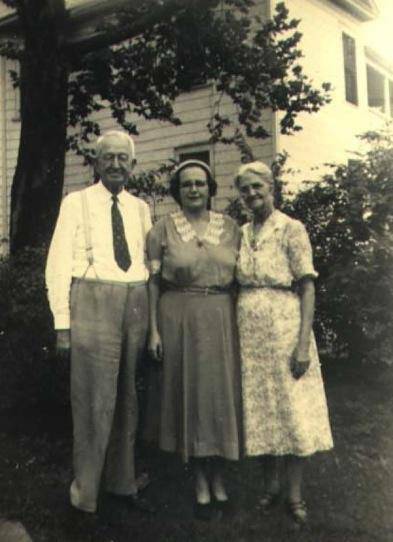 He is survived by his wife and following children: George Dickey, Lucy S., Nellie F. (Mrs. John D. Taylor), and Margaret E. Another daughter, Sarah C., passed away June 12, 1954. His home was one of culture and refinement whose spiritual atmosphere reflected the presence of the Master who was the real head of the house. Brother Barrett joined the North Georgia Conference in 1899. He was ordained deacon in 1899 by Bishop Hendrix and elder in 1903 by Bishop Key. His appointments were as follows: Alpharetta; Blue Ridge; Palmetto; Douglasville; Cornelia; Tate; Acworth; Union Point; Asbury, Augusta; Lithonia; Gray; Tignall; St. Paul, Gainesville; Winder; St. Luke, Augusta; Commerce; Rockmart; Second Avenue, Rome; Underwood, Atlanta, from which he retired in 1945. He was at the table of the Secretary of the Conference for twenty-eight years–for twenty-one years the Secretary of the Conference, and editor of the Conference Journal. He was a natural born Secretary. In correspondence with the Publishing House as Editor of the Journal he was often addressed as “the model Secretary.” In District Conferences or other church meetings, where a secretary was needed, they usually thought of Brother Barrett, if he were present, and elected him. George W. Barrett was not only a gentleman but a gentle man. Smoking flax he would not quench and the bruised reed would not be further damaged in his hands. The ugly habit of self-assertion and self-seeking was not in his make-up. He walked in deep humility with his Lord, content to feel that always the Master was at hand. Brother Barrett was a sound Gospel preacher. His sermons were not cluttered up with trivialities but dealt with the profound truths of the Holy Word. He followed in the traditions of the fathers and was little moved by modern trends. His people loved and trusted him. They believed that in the midst of pretense and sham here, indeed, was a real man of God. His life was an orderly one. He was meticulous in his attention to details. There was method in all that he did. He was punctual in his appointments and prompt in his obligations. He had strong convictions and was never ashamed or afraid to declare them. For more than eighty-two years Brother George W. Barrett had lived among us, walking in the straight and narrow way, his face always toward the morning. At last the weary feet could carry him no farther. The gentle knight laid down his shining sword. The mantle of his noble calling fell from his shoulders unsoiled. His nerveless hands could no longer hold the working tools of his loved employ. So he left us–the earth better for his coming, heaven richer for his going–to be at home with God. It is, I admit, an overwritten obituary in places, but that is excusable. If one cannot become flowery in an obituary, where can one do so? I do recognize one glaring omission: There is no mention of his firstborn son, Randolph Winburn Barrett (1905-? ), who disappeared in the 1930s. I propose no single reason for this, and I hope that nobody thinks I am. In fact, I suspect that there are at least two reasons for this and almost everything else in the realm of the human race. I do know that, for a set of reasons, Randolph became a topic to avoid in the household, so I am not surprised that he is absent here. Maybe the primary reason was grief. I have no evidence to suggest otherwise, so I extend the benefit of the doubt. I have derived most information from Journals of the North Georgia Conference of the Methodist Episcopal Church, South, (through 1938) and of The Methodist Church (1939 to 1945 and 1956). I have also drawn information from George Washington Barrett’s small book, Descendants of John Barrett and William Winburn (Decatur, Georgia: Banner Press, Emory University, 1949). And I have added my own knowledge from other sources. Most pastoral moves occurred in November. The North Georgia Conference made the transition to Summer moves after George Washington Barrett retired. The Methodist Episcopal Church, South (1845-1939) reunited with its parent, the Methodist Episcopal Church (1784-1939), and a sibling, the Methodist Protestant Church (1828-1939) to form The Methodist Church (1939-1968). The Methodist Church (1939-1968) joined with its relative, the Evangelical United Brethren Church (1946-1968), to create The United Methodist Church. I recommend Google Street View as a wonderful way to get good images of some of these church buildings. The Conference my great-grandfather as a troubleshooter frequently, hence many short pastorates. Often he had only a few days’ notice before a move. Ordained Deacon by Bishop Eugene R. Hendrix, D.D., L.L.D. A few years ago, when I taught some courses at the Demorest campus of Piedmont College, I noticed a certain building across the street. The Demorest Womens’ Club house looked like an old church. That is because it used to be one. It was the home of the Demorest congregation of the Methodist Episcopal Church, South (MECS). Demorest also had a congregation of the Methodist Episcopal Church (MEC). The two Demorest congregations merged in 1939, when their denominations did, moving into the stately MEC building. That building, unfortunately, has gone the way of all flesh. In the late 1940s, however, the Methodist and Congregationalist churches of Demorest merged, forming the Demorest Methodist Congregationalist Federated Church (currently a United Church of Christ and United Methodist Church affiliate), in the home of the former Congregational Church, just up the hill and behind the old MECS church. The bell in the yard of the Federated Church is from the former MEC structure. So, when I look at the clubhouse of the Demorest Womens’ Club, I see a building in which my great-grandfather preached. He’s going to leave me very soon. I crave of Thee this priceless boon. In Thy whole armor clad complete. With whom his daily lot may be. Restore him to my waiting arms. And thou art pledged to keep thine own. I will send him forth–my first-born son.